PRMG Retail Continues to Expand its Southeast Region and Opens for Business in West Palm Beach, FL! California-based mortgage lender, Paramount Residential Mortgage Group, Inc. (PRMG), is expanding its southeast region by opening their new retail location at 1401 Forum Way, Suite 820, West Palm Beach, FL 33401. The newest location will be managed by twenty-year mortgage guru; Jose Esquerete. 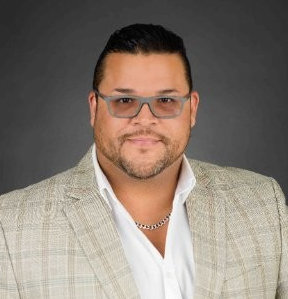 Jose has worked for American Bancshares, American Financial Network and Carrington Mortgage, to name a few. “Experience comes with time. With over nineteen years in the mortgage industry, from a Loan Originator managing my own clients to managing the daily operations that come with running a successful mortgage office, I have never sought satisfaction from the easy loans. As Loan Originators, we are here to assist the community and I have been blessed to meet many families and individuals who just needed an opportunity. That’s where experience means everything. Allow me to assist you through one of your most important financial decisions and that’s buying a house so in turn, you can make it your home!”, said Esquerete. Esquerete will report to VP, Divisional Retail Production; Steve Levine and will have the support of PRMG SVP, Director of National Retail Production; Chris Sorensen. The new PRMG West Palm Beach location will open with an experienced team of Loan Officers and Processors, who are ready to assist local business partners close their loans on time. The new location is also looking for more Motivated Loan Originators to support the PRMG mission to being “Progressively Better in All that We Do”. If you’re ready to join a top-tier team in PRMG’s newest Florida office, please contact Jose Esquerete at 561.932.1201 or jesquerete@prmg.net.